Good, because here we go! What is The Difference Between a Cornet And a Trumpet? …they both have the same amount of tubing. Not only the same amount but also the same length of tubing. By this I mean that if we were to stretch out the instruments to one straight long tube, they would both be the exact same length. But on the cornet the tubing is more tightly wrapped, and thus, the cornet in itself is shorter from bell to mouthpiece. Conical and cylindrical – meaning? This is not the case with the trumpet because on the trumpet the bore size stays the same all the way from the mouthpiece receiver (the end of the tubing where we insert the mouthpiece) until right after the tubing exits the valve case. This makes the trumpet more a “cylindrical” form. The trumpet bore size does not increase before this point, when the tubing exits the valve case, whereas on the cornet it slowly starts increasing right from where we insert the mouthpiece. So on the trumpet the bore size of the tubing does not start to increase until the last “bend” before the bell but then in rapidly increases in size to finally form the bell at the end of the trumpet. …the cornet has a warmer and “rounder” sound than the trumpet. The trumpet has a “sharper” and more brassy sound and the trumpet sound is also more energetic. In the hands of a good cornet player the cornet sound can be extremely pleasing and and millions of eyes are tearing up every year after a gorgeous cornet solo has been performed on a funeral, for example, and I honestly don’t think that any other musical instrument, on the whole planet, can produce such a beautiful sound as the cornet. There is no difference between the trumpet and the cornet when it comes to how the sound is made by the player. Both instruments need lips formed to an embouchure and a trumpet embouchure is no different from a cornet embouchure. …that said, it is easier to play very fast and difficult pieces on the cornet compared to the trumpet but this has nothing to do with the valves. More on this later. So as you can see the difference between the trumpet and the cornet is not that big. The similarities between the two instruments far outweigh the differences and it is fair to say that, if you are a good trumpet player, you are also capable of playing the cornet and likewise, if you are a good cornet player, then you will for sure be able to play the trumpet. Is The Cornet Mouthpiece The Same As The Trumpet Mouthpiece? They are exactly the same in that we use the same embouchure and in that they both have a rim, cup, throat and a backbore and a shank. However the cornet mouthpiece is shorter thn the trumpet mouthpiece. It has a shorter shank (the pipe that goes into the trumpet) and the cornet mouthpiece shank also has a smaller diameter than the shank of a trumpet mouthpiece. Even though the diameter of the shank is smaller on the cornet mouthpiece this does not mean that the tubing of the cornet itself is smaller because, as you remember, the cornet tubing is conical and starts to increase right away, from the mouthpiece receiver. That said, right from the very start of the tubing the cornet bore size is smaller and thus it needs a mouthpiece shank that is smaller in diameter. 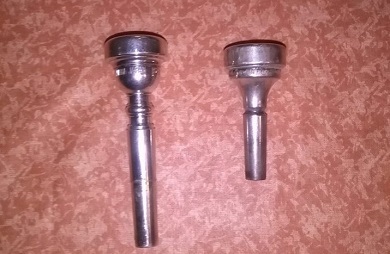 Other than the length and the diameter of the shank, the trumpet mouthpiece and cornet mouthpiece are identical. That said, it is very common for cornet players to choose a mouthpiece that has a deeper cup as to really augment the round and warm sound of the cornet. Is The Cornet Easier To Play Than The Trumpet? Cornet vs trumpet for beginners ? As I wrote in my article “what is a good age to start playing the trumpet“, it can sometimes be easier for beginners to start on the cornet than on a trumpet. The cornet is easier to hold because the valve case, where we also grip the instrument, is closer to the mouthpiece on the cornet, compared to the trumpet. …and here we should note that soft and low notes are the very first notes we start with learning, as young aspiring musicians. Thus the cornet might be a better choice to start with for beginners. This, in combination with the fact that many kids are small for their age, and holding a trumpet can bee “heavy business”, can make the cornet easier to play than the trumpet, for some people. Also, they way the airstream works inside the tubing make the cornet easier to play when it comes to playing REALLY fast pieces, with a lot of fast trills, slurs and other demanding finger dexterity stuff. In What Musical Situations Are the Cornet Used? Although the cornet is not really as popular as the trumpet in todays music it can still be found in many different kinds of musical settings. Take a look below to see how common cornet use is, compared to the trumpet, in different kinds of genres. Note that these are rough estimates and not necessarily 100% accurate. Playing the cornet was a lot more popular 30-90 years ago compared to what it is today and during those years there were also many incredible difficult solo pieces written for the cornet. Some of these pieces were written to really highlight the virtuosity of the cornet player. It truly was a big thing back then and those days the best cornet virtuosos were, in some cultures, really the equivalent of todays most popular pop singers. 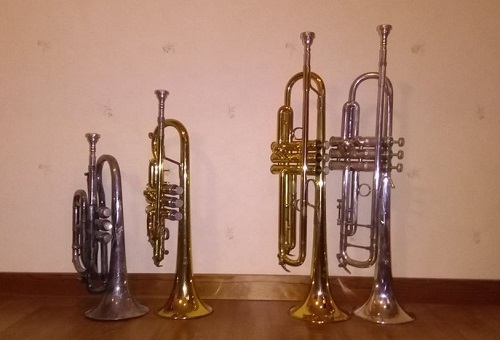 These are just a few examples of typical “virtuoso cornet pieces” and even though they are possible to play on the trumpet, the cornet is a much better choice. Take a look at how Ole Edvard Andonsen performs one of the above mentioned pieces, Napoli, on his cornet. It is a very…very…VERY difficult cornet solo, and Ole does a phenomenal job. P.S. Try to count how many mistakes and split notes you can here in the video below. Listen to the whole song and count carefully! Now, Ole is a first class virtuoso and, while he might also be able to play what you just heard on the trumpet, I’m sure he much rather perform that particular piece on the cornet instead of the trumpet. By now difference between the trumpet and the cornet should already be pretty clear but let’s take a look at a few examples where the trumpet is superior to the cornet. As of today, there is not a single musical instrument invented that can beat the trumpet when it comes to power and energy in the sound. This is why it should come as no surprise that the trumpet, with its cylindrical tubing, has been used in situations of great importance for thousands of years. While we do not use the trumpet in the same manner in this day of age, we still use that same “energy” the trumpet is able to produce, to the music. In addition to this the trumpet can of course also be played very softly, without that intense energy. This makes the trumpet one of the most versatile musical instruments we have. 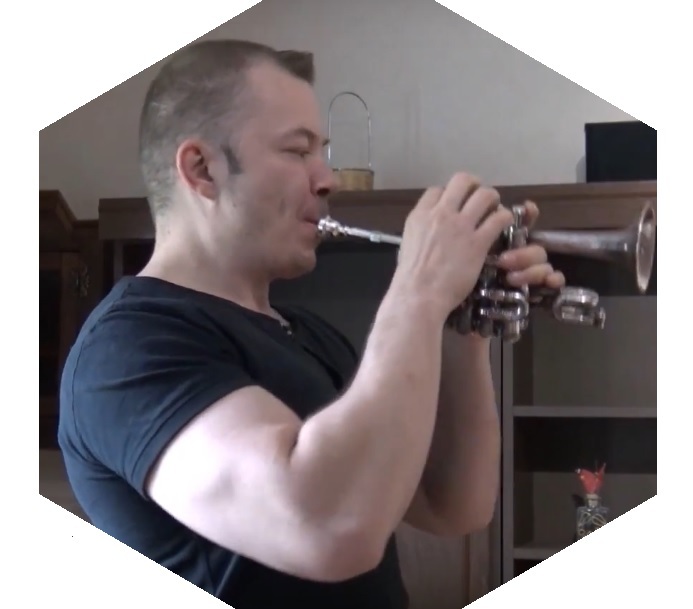 Take a look at this video for a good example of where the trumpet is a much better choice than the cornet. The fanfare calls for a sharper sound and the trumpets really gives energy and festiveness to this piece. There are mainly three different tunings when it comes to the cornet with the B-flat cornet being the absolute most common. The next one is the Eb-cornet, also called “soprano cornet”. The Eb soprano cornet plays the highest part in, for example, brass bands and the soprano part is known for being very demanding and is often putting a lot of pressure on the player. Then there are also cornets tuned in C, but those are not used very often. It is safe to say that if you hear a cornet playing somewhere, it is almost guaranteed to be either a B-flat or an E-flat cornet, with the B-flat cornet being far more common than the E-flat. 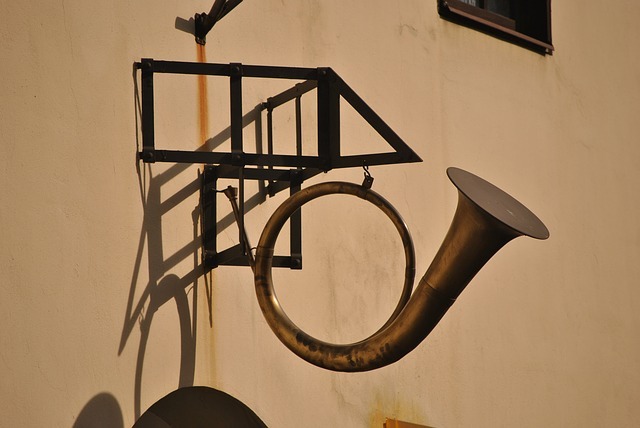 Unlike the trumpet, the cornet is developed from the old post horn that was used to signal the arrival or departure of a post rider or mail coach back before there was any technology to speak of. The post horn did not have any valves and therefor it was limited in notes that it could produce. The horn was used especially by postilions of the 18th and 19th centuries. The cornet got it firsts valves in the 1820s in France in the form of rotary valves. By the 1830s, however, Parisian makers were using piston valves instead. One of the first makers was the Parisian Jean Asté, known as Halary, in 1828. Should I Start My Kid, Or Myself, On a Cornet Instead Of a Trumpet ? As I wrote earlier in this post it does not make that big of a difference. The cornet is a bit easier to star on because it’s easier to hold and the soft lower register responds easier than on a trumpet, but other than that there is no additional advantages. Also, later on, if one can play the cornet, one can also play the trumpet and vice versa, so it’s not like you are forever “locking yourself into” one or the other. Many serious trumpet players also own a cornet and almost all cornet players also own a trumpet. There are exceptions of course but why not start on the cornet and then later also buy a trumpet? Is a Cornet More Expensive Than a Trumpet? …also, don’t get the cheapest one either, since the poor quality often makes them hard to play and that could turn you off from practicing. Aim for something in the middle, like a good intermediate cornet. So, if I want to start playing the cornet but don’t want to buy an expensive, professional, cornet right away, what are some good beginner to intermediate cornets ? What Are Some Good Cornet Method Books? Both the cornet and the trumpet are members of the “brass family” and they have more similarities than differences. And many of the music literature do not make you choose one over the other. There are so much music you can play on both the cornet and the trumpet, so whatever instrument you choose as your first, one thing is for sure: you won’t lock yourself into a restricted area where most music is forbidden to play on your instrument. …perhaps several trumpets, like many professionals do. Thank you for reading this article about the differences and similarities between the trumpet and the cornet. I hope it has been informative. P.S. Are you a trumpet player that started out on the cornet? Or perhaps you started on the trumpet and nowadays you only play the cornet? Do you own and play both of them? I would love for you to leave a few comments down in the comment section below this article. Do you think it’s easier to start on the cornet and then, after a couple of years, switch to the trumpet? If you have to perform a very fast and difficult solo, do you rather choose the cornet over trumpet in that case? Feel free to leave a few words! Thanks for the information; I hadn’t known the differences between the two instruments before, although I insanely have more than a dozen of them!😋 now, what about flugelhorns?